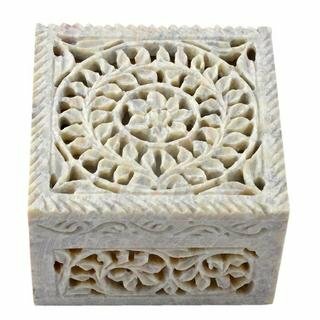 Pure Gorara marble, ideal gift item, handmade, beautiful Jali cut handmade Design with polish. Forever easy carry, care and movable gift item for any age persons at any occasion. 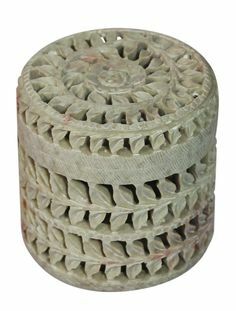 Very unique Gold Jewellery box manufactured with Gorara marble. It is very luxuries look, it is an elegant addition to any bedroom and dressing table. 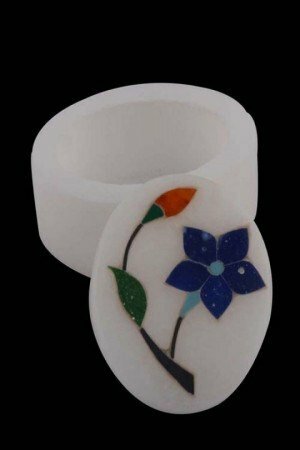 It can hold small jewelry items, official use as visiting card holder, coin box for home and office. Its luxuries gift item to give someone special or officials for any occasion.